Last spring, Bret Weinstein, a professor who voted for Bernie Sanders and refers to himself as “deeply progressive,” received threats for disagreeing with others who probably also voted for Sanders. The point of disagreement was whether white people should stay off the Evergreen State College campus in Olympia, Washington, on a designated day for minorities to have the campus to themselves. It’s becoming more common today to see people oppressing other people in a convoluted effort to protest oppression. The story is back in the news now because the university has agreed to pay Weinstein and his wife (also a faculty member) a settlement and attorney’s fees. Upon the announcement of the settlement, the couple promptly resigned their posts. The saga reflects an uncommon but increasing trend that moves beyond a relative moral code that states “What I believe/feel/want/decide is what is right for me.” We stand at the doorway of a world where what someone believes/feels/wants/decides is what must be right for us all. It’s a foundation for a society in which everyone has the same ideas and convictions–rather, a society where everyone pretends to have the same ideas and convictions for fear of paying the consequences to the enforcers of what is “right”. It is a foundation of oppression. 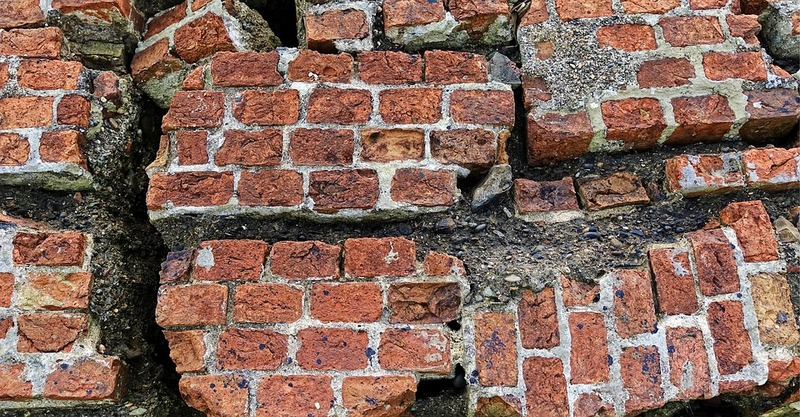 The foundations of our institutions are cracked today–those of church, family, and the schoolhouse–primarily today, but not solely, the one in Olympia, Washington. These were once places where people heard and heeded calls to consciousness as Weinstein mentioned. That consciousness called us to hear others’ ideas. To understand the logic of freedom so we can cripple the misguided thinking of oppression. If these foundations continue their decline, another will stand strong. It will be a foundational wall of oppression. And it will be hard to knock down. We may come to realize too late that we built that foundation ourselves by letting the others fall.